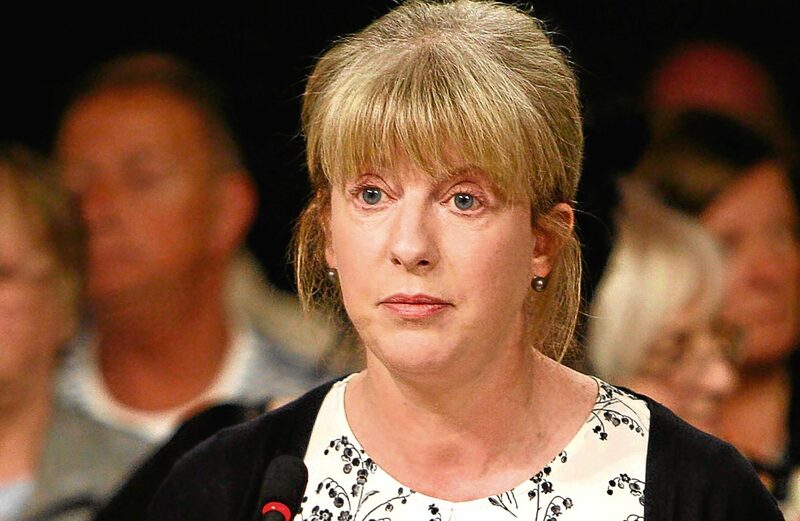 SHONA ROBISON is under mounting pressure from all parties over her handling of the unfolding mesh scandal. The health minister has been accused of leading an official whitewash, failing patients and letting down women already crippled by the controversial implant surgery. Last week, we told how one leading expert fears the Scottish Government had the opportunity to lead the world in banning the most dangerous types of medical mesh, used to treat prolapse and bladder problems, but buckled under pressure. A Holyrood debate last week saw Ms Robison face intense criticism over the crisis which has led to 500 Scottish women taking legal action against the NHS and mesh manufacturers. Alex Neil, her predecessor as health secretary, called on Parliament to unite on the issue, claiming the mesh safety review he initiated was compromised by conflicts of interest. He accused officials of “not telling the truth”, a claim supported by Glasgow Labour MSP Anas Sarwar who said the review smacked of a “cover up”. Labour’s Neil Findlay last night welcomed an alliance of more than 100 MSPs united in questioning the official handling of the scandal. Mr Findlay said: “The health minister lacks understanding and comes across as being completely disinterested in getting to the truth. “If she fails to act, I will work with MSPs from all parties to bring forward a parliamentary motion that forces her to act. Mr Findlay also questioned the appointment of Professor Laura McKee as chair of the new oversight group which will develop how mesh complications will be monitored. Professor McKee is Emeritus Professor of Management and Health Services at the same Aberdeen University research unit as surgeon Mohamed Abdel-Fattah, who led a controversial mesh trial. There was an outcry when it was revealed three years ago that NHS doctors were being offered a trip to Brazil for signing up the most number of patients to the trial. However, Ms Robison defended the move. She said: “Professor McKee is absolutely beyond reproach. It is very important that she is allowed to get on with the job of chairing the oversight group. Scottish Mesh Survivors said last night that they had “little sympathy” for the under-fire Health Minister. Campaigner Elaine Holmes said: “Scotland once led the world in highlighting the dangers of mesh.